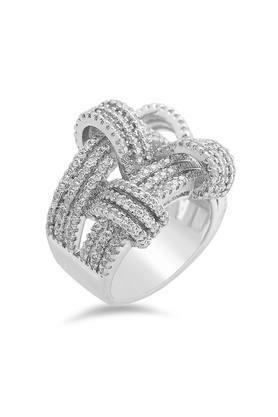 Make a utile addition to your jewellery collection with this ring from Shaze. This piece of jewellery is intricately designed with a nice finishing detailing to make you look elegant in any traditional outfit. It is made of good quality material that makes it more appealing. Add to your dazzling jewellery collection with this chic ring. It looks stunning with a traditional outfit.